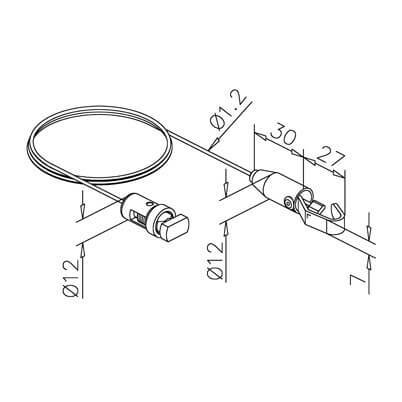 Display Hook with Wire, Contemporary picture hanging system designed for mounting on to wall mount Railing Track. 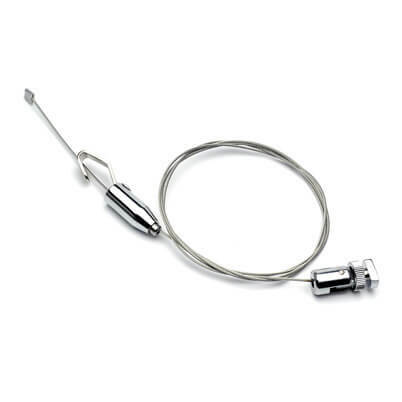 Supplied with 1200mm of stainless steel wire. 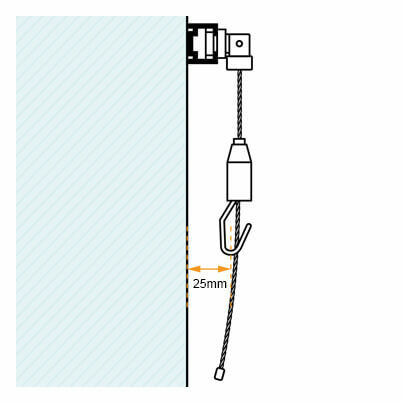 Each display hook can support a maximum weight of 12Kg. Tip: No need to trim your wire, simply coil any excess wire and position it neatly behind your picture for future adjustment. Tensioner and Slider fittings are supplied with a high quality chrome finish. 1 x Hanger/slider connector fitting. 1 x Hook cable tensioner fitting. 1 x 1200mm length of stainless steel wire. 1. 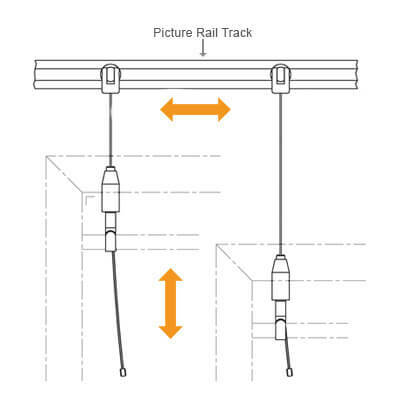 Simply place into railing track and slide into position. 2. Rotate slider body to lock in place. 3. twist slider wire connector downwards. 4. Adjust hook position by depressing the top of the tensioner. Railing Track - For picture hanging cable display. Cable Display Kits - Ready sized with tensioner fittings. Easy Fit Cable Display - Versatile and simple to use. Posilock Cable Display - Extensive range of fittings.